“Yes. (I’m) tired of denying it”. In 2018, Johnson was spotted with drummer Phil Rudd and guitarists Angus Young and Stevie Young outside Warehouse Studios in Vancouver. The pictures of the band together again circulated and sparked rumors of a reunion record. It’s been said that this new AC/DC record will also include guitar parts and songs written and recorded by the late Malcolm Young before his death. Some online reports speculated as well that Angus Young will dedicate the new AC/DC album to his late brother. 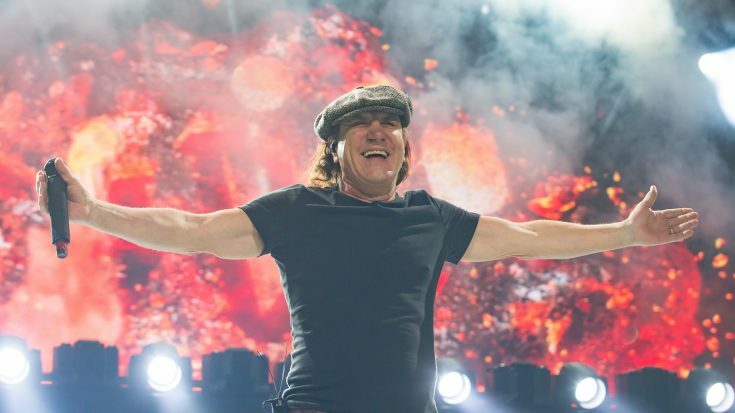 The last time AC/DC played with this line-up and with Brian Johnson at the helm was 2014 on tour for the band’s album “Rock or Burst”. Following the2014 tour came Malcolm Young’s forced retirement due to his deterioration caused by dementia and eventual death. The band also went through the departures of Johnson, Rudd and bassist Cliff Williams. Two years ago, Johnson was forced to leave AC/DC mid-tour due to a hearing loss. Guns N’ Roses frontman Axl Rose took over the vocalist duties for the band on the road during Johnson’s forced exit. During the end of that tour, Williams also decided to retire.